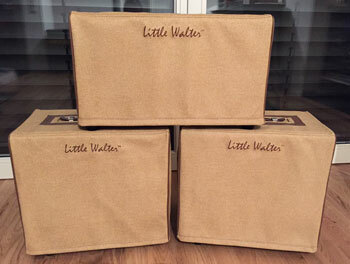 Thank you for the covers for my Little Walter Amp. 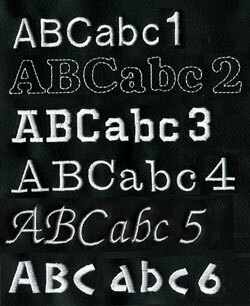 Excellent work, looks great!! Hi Leann. 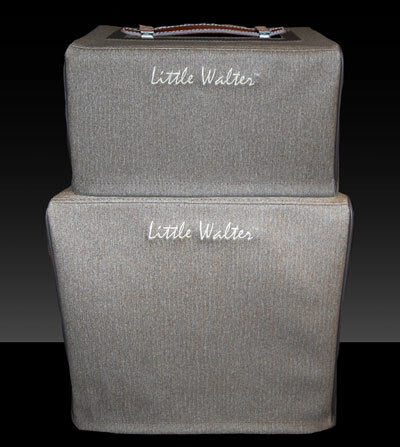 A while back you built custom covers for my Little Walter amp/cabinets and my steel. After 6 months in a container I got my stuff delivered and put everything together. I took some pictures for you. Now the setup is even "living room material" ;-) Especially the steel cover fits like a glove and the jacks are free as specified. Thank you for a job well done! Kind Regards. 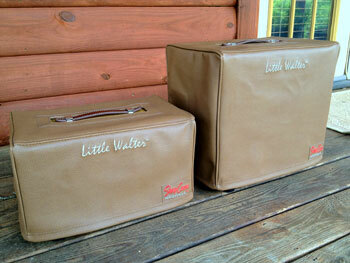 Hi Leann, I could not be more pleased with your custom covers. Everything about them is perfect. 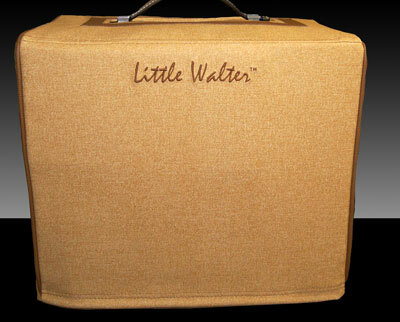 Hi Leann, I received the Little Walter amp and cabinet covers last week. I was out of town until the weekend and was pleasantly surprised to find the covers when I returned, They are beautiful and fit perfectly. 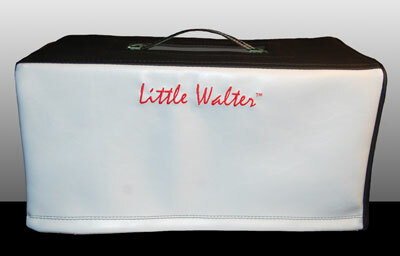 I am so pleased that you were able to work out an agreement with Phil Bradbury for the use of the Little Walter logo. 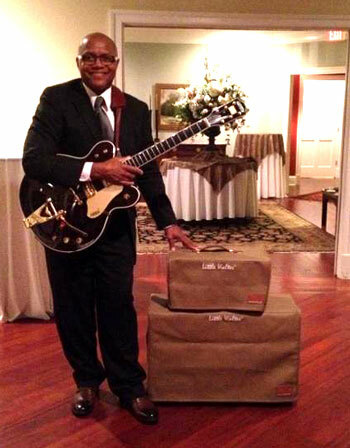 The covers look so nice I might leave the amp and cabinet set up in the living room. I've attached some photos of the covers. 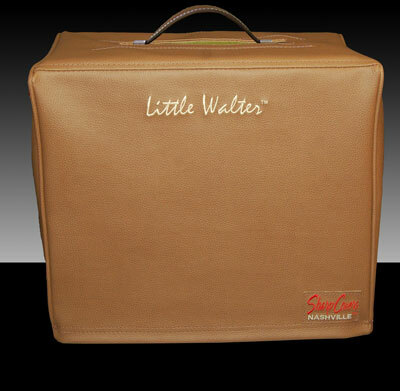 If its okay with you I would like to send a copy of the photos to Little Walter amps and thank them. Thanks a lot for getting this to happen, Gary Capps.